Apple has officially releases its latest seventh version of Mac OS X Mavericks 10.9.2 Beta 7 (Build: 13C62) update for OS X developers and non-OS X developers (general public). The official change log of OS X 10.9.2 Beta 7 contains fixes and improvements for VPN, SMB2, Graphics Drivers, Mail, Messages, VoiceOver feature support etc. The Direct Download Links of Mac OS X Mavericks 10.9.2 Beta 7 (Build: 13C62) .DMG Update File is available from Apple. Before the official release of OS X Mavericks 10.9.2 Final Version, Mac users can expect more similar updates from Apple, like OS X 10.9.2 Beta 8 or OS X 10.9.2 Beta 9. 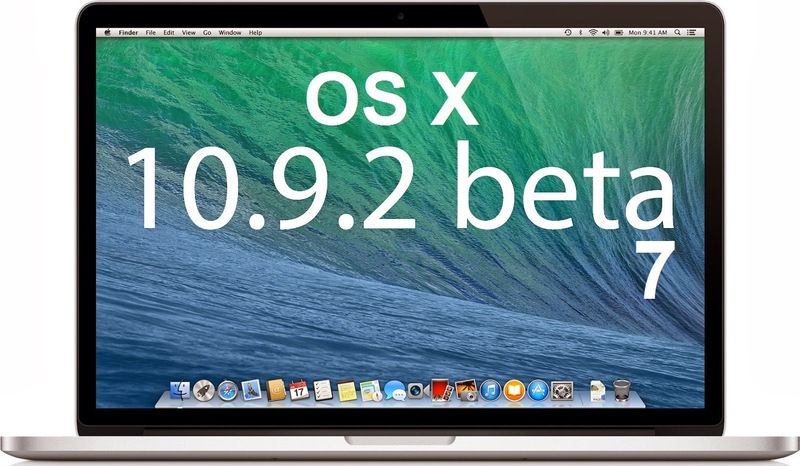 OS X Mavericks 10.9.2 Beta 7 (Build: 13C62) Update is available officially from OS X Dev Center website for OS X developers, and non-OS X developers (general public) can Download OS X 10.9.2 Beta 7 Mavericks .DMG Update File via Direct Links available below. Mac users can also Download OS X Server 3.1 (Build: 13S4101b) .DMG File and XCode 5.1 Beta 5 .DMG File from below working links.